Veteran linebacker Mychal Kendricks reportedly agreed to terms on a one-year deal with the Cleveland Browns, NFL.com's Ian Rapoport reported Sunday. Mary Kay Cabot of Cleveland.com confirmed Rapoport's report, but Kendricks denied he had signed with the Browns. Kendricks had been the subject of trade rumors prior to the start of the 2017 season. PhillyVoice.com's Jimmy Kempski reported in February 2017 the Eagles had made Kendricks available as they looked to free up salary-cap space. Instead, Kendricks remained in Philadelphia and proceeded to have a strong year. He finished with 77 combined tackles and two sacks. Not only was the 27-year-old a strong run defender, he also registered six passes defended—his highest since his rookie year in 2012. "He's been a pro. I've said this from the beginning of training camp: He's gone out and worked really hard and done anything we've asked him to do. I think from the very beginning of training camp, we talked about him coming into what he's going to be asked to do, and then doing that well. I couldn't be prouder of him." However, that wasn't enough for the Eagles to keep Kendricks on the roster this offseason. Philadelphia waived him in what was a cost-savings maneuver. NBC Sports Philadelphia's Reuben Frank reported the Eagles were saving $6 million in salary-cap space and adding $1.6 million in dead money in 2018 by making Kendricks a post-June 1 cut. Per conversation w/ #Eagles Kendricks: •Dozens of teams have already reached out. •Played in 3/4 &amp; 4/3 for 3 years each so he doesn’t have a preference. •Is looking for an aggressive and attacking defense. Even though he was looking for a way out before the season got underway, Kendricks made the most of his last year in Philadelphia. In addition to helping the Eagles in a championship, he re-established himself as a valuable linebacker. Pro Football Focus' Michael Renner ranked him third among the best players to just miss out on PFF's top 101 list at the conclusion of the 2017 campaign. 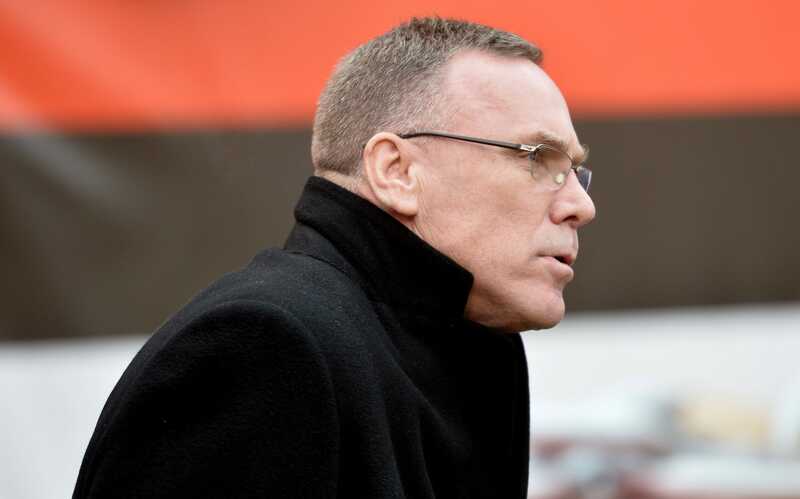 The Browns have wasted little time rebuilding their roster after a winless 2017 season. Cleveland acquired Tyrod Taylor, Jarvis Landry, Carlos Hyde, Damarious Randall and E.J. Gaines through trade or free agency. The team likely has high expectations for first-round draft pick Denzel Ward, while Baker Mayfield is the quarterback of the future. If they complete the signing of Kendricks, the Browns would have one of the stronger linebacker trios in the NFL. Kendricks ranked 12th among 4-3 outside linebackers in Bleacher Report's year-end ranking, while Jamie Collins and Joe Schobert were No. 10 and 9, respectively, in B/R's ranking of the best inside linebackers. One strong offseason can only do so much to help what was such an awful team a year ago, but Kendricks is another experienced veteran who would set the Browns up for big improvement in 2018.